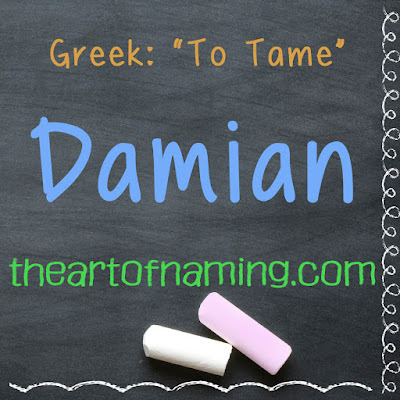 One of my favorite Greek names is Damian, which comes from the Greek name Δαμιανος (Damianos). This name was listed on the Great Greek Names for Modern Boys list posted earlier this week. 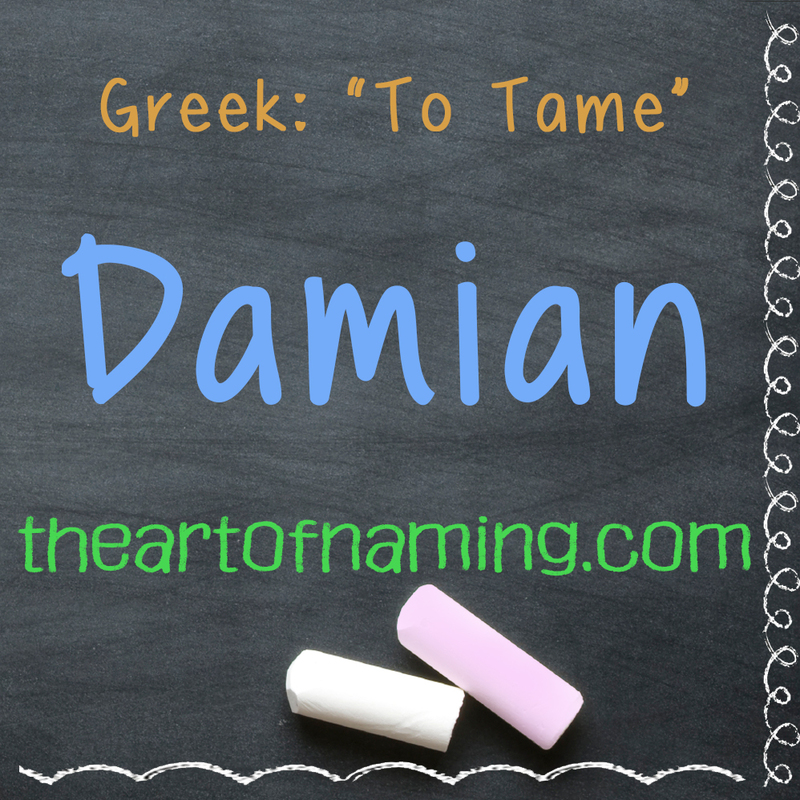 Damian is ultimately derived from the Greek δαμαζω (damazo) meaning "to tame". There was a saint by this name from the 4th century who was martyred with his twin brother Cosmo in Syria. There was also an 11th-century saint named Peter Damian who was a cardinal and theologian from Italy. In the US, Damian was first used on boys in 1912. It also gained a minimal amount of use for girls in 1968. For boys, this name gained momentum in the 1970s, peaking in 1977 before dipping a bit again. By the 1990s, it began an upward trajectory of usage. It actually cracked the Top 100 in 2012-2013 at #98 both years. Even though it has dropped again to #116 in 2015, Damian is a solid name with great usage. There's also a few spelling variations associated with different languages and cultures. The French Damien is also doing well in the US at #254 in 2015. Other spellings include Damon (#427), Damion, Damiaan, Damiano, Damianus, Damyan, Damijan and Damjan. What do you think of this name? Which middle names would you pair with it? Greek names are fascinating, however, many of them are too wrapped up in archaic spellings to be considered usable today. But over the centuries, some of those names developed diminutives or were passed through a process of modernization to make them easier on our ears today. 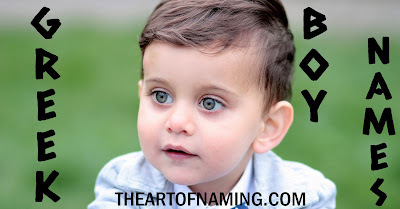 Here are some of the most usable Greek boy names around! Which do you enjoy most? Are there any other traditionally Greek names that you could consider using on a modern boy? What Will May's Names of the Month Be? You Decide! Thank you for voting! 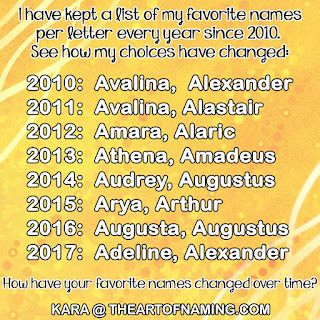 If you'd like to submit your own favorite name combinations to be used in future Names of the Month polls, go to this page and enter them! Check Facebook, Twitter or Instagram on May 1st to see which names won. Congratulations on the little girl you're expecting in the near to distant future! I couldn't be happier for you! Not pregnant? No problem. If you're looking for an unusual name for a book character, pet, or simulated video game character, I'm happy that you've also stumbled across this page. Below are ten interesting names that have either had their heyday in your grandparents era, or have never quite taken off. Either way, these names deserve consideration if you're into the uncommon. Go on, browse a bit, then be sure to check out the other six parts of this series for even more ideas! 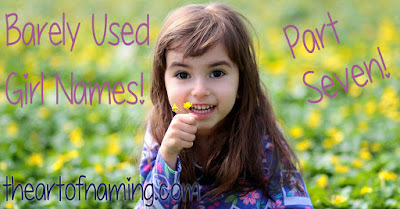 What do you think of these ten, barely-used names for girls? Which do you think stand the best chance of revival? Which should stay uncommon? Share your thoughts in the comments or on social media! Thanks for reading! Ahhh! Part Seven! Here we are! 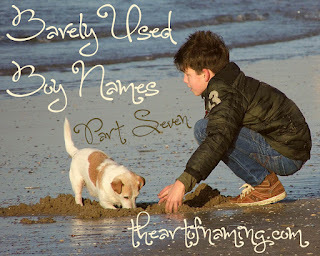 The series just keeps chugging along with another 10 boy names to choose from! These barely-used names do not rank within 2015's Top 1000 chart. Take a look at the names on this list, pick your favorite(s) and pair them with a great middle name in the comment section below! Cordell (129 births - #1342) Cordell is an interesting surname name taken from Middle English usage referring to the maker or seller of cord. Cordell actually first appeared in 1903 for females, and 1904 for males. However, over the years, it gained more traction for boys, despite being given to a handful of girls here and there until 1937. For boys, Cordell has ranked on and off in the Top 1000, doing the best in the late 1990s. Now it has fallen off the charts again but still earns a decent amount of births per year. Is this a name that you'd consider? Middle Name Ideas: Cordell William, Cordell Elijah, Cordell Frost, Cordell Thomas, Cordell Ryan, Cordell Sebastian, Cordell Peregrine. Jael (128 births - #1350) Jael comes from the Hebrew name יָעֵל (Ya'el) which means "mountain goat". This was an Old Testament name used on a woman, the wife of Heber the Kenite. It's interesting that people have decided to use it for a boy. It was first used for girls back in 1957, and for boys in 1979. Over the years, it has actually been very evenly unisex with nearly the same amount of births for the year for each gender. In 2015, there were 150 girls named Jael and 128 boys. Middle Name Ideas: Jael Carter, Jael Matthew, Jael Benjamin, Jael Nathan, Jael Alexander, Jael Isaiah, Jael Tobias. Creed (127 births - #1357) Creed is an English word that refers to a set of religious beliefs, or any set of principals that must be followed. It comes from the Latin credo meaning "I believe" or credere meaning "to believe". This name would most likely be used by parents who have strong spiritual beliefs, but it isn't off limits to those without faith. This has always been solely given to boys, dating back to 1880, but it wasn't regularly used yearly until the 1910s. It is more popular today than it has ever been, and yet it has not cracked into the Top 1000. Middle Name Ideas: Creed Jackson, Creed Oliver, Creed Michael, Creed Lucas, Creed Finnegan, Creed Anthony, Creed Gabriel. 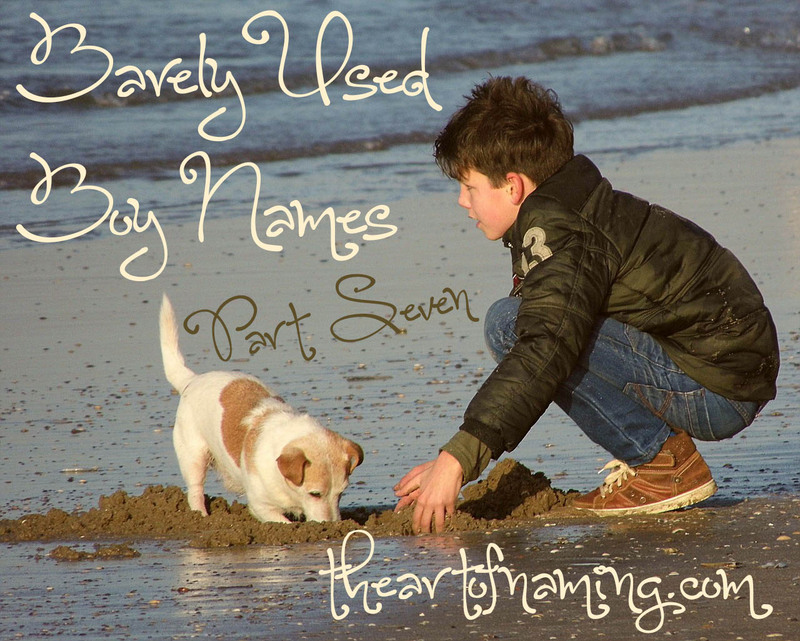 What do you think of these ten names and what other middle names might pair well? Share your thoughts in the comments below!